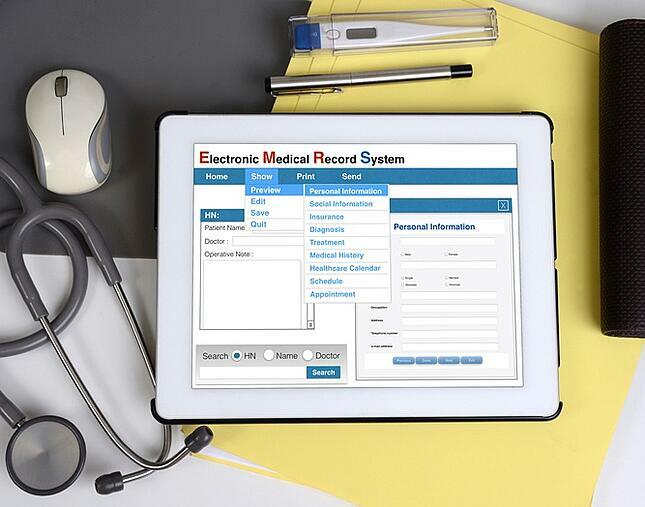 The Medicare Electronic Health Record (EHR) incentive program and Meaningful Use have been controversial since their establishment in 2010. The popular opinion was they placed too much importance on patient data and not enough on the actual patients. The good news is the Centers for Medicare and Medicaid Services (CMS) recognized the flaws in the system and announced in January 2016 that Meaningful Use as it currently existed would be discontinued. Read on to learn what brought about this reform and how it could impact your practice. Why are the Medicare EHR Incentive Program and Meaningful Use Changing? Theoretically, the EHR incentive program and Meaningful Use complement the idea of patient-centered care. After all, the primary goals of the program included improving care quality and patient safety as well as encouraging engagement of patients and their families. In practice, however, the implementation of Meaningful Use led to an emphasis on the use of technology instead of focusing on patient outcomes. As a result, healthcare providers began concentrating more on obtaining objectives and increasing patient volumes than administering superior care. How Are the Medicare EHR Incentive Program and Meaningful Use Changing? The Sustainable Growth Rate (SGR) formula that determined reimbursement rates for providers is nullified. Healthcare providers are rewarded based on the level of care they administer, not the volume of patients they see. The existing quality reporting programs are streamlined into a single system. A program that combines parts of the Physician Quality Reporting System (PQRS), the Value-based Payment Modifier (VM) and the Medicare Electronic Health Record (EHR) incentive program into one system. Eligible Professionals (EPs) will be measured on quality, resource use, clinical practice improvement activities and meaningful use of certified EHR technology. Medicare payment adjustments are based on the composite score of these four factors. New Medicare reimbursement avenues that allow EPs to receive a 5% annual lump sum payment, for participating in qualified APMs. If physicians meet a certain threshold, they can be exempt from MIPS scores. The most common APMs are Accountable Care Organizations (ACOs), Bundled Payments, Pay-for-Performance (P4P) and Patient Centered Medical Home (PCMH). In general, the MACRA legislation means minimized reporting burdens and a shift to prioritizing value over volume. It’s important to remember that while MACRA adjusts the payment incentives associated with Meaningful Use, it doesn’t eliminate it entirely. However, CMS has stated it will “continue to listen and learn and make improvements based on what happens on the front line.” Stage 3 of meaningful use is still in effect while the MACRA regulations are put in place. The MACRA only applies to Medicare reimbursement for physicians and clinicians, not hospitals. Finally, MACRA allows healthcare providers to customize the technology they use to best suit the needs of their practice, rather than the needs of the government. This transition will not take place overnight, but it is certainly a step in the right direction toward letting physicians once again focus more on their patients and less on the computer. For more information about MACRA and how it will affect your practice, be sure to check out the CMS documents below. In addition to boosting your MIPS score to increase reimbursement, there are a few other ways you can improve the finances of your practice. Download our free eBook, Stop the Budget Bleed: How Private-Practice Physicians Can Reduce Spend, to learn more.